Mary Gwynn’s historic East Sussex home has been through a huge five-year programme of renovations. It had been used as a weekend home by its previous owners and was liveable, but in need of rewiring, replumbing and a new bathroom. 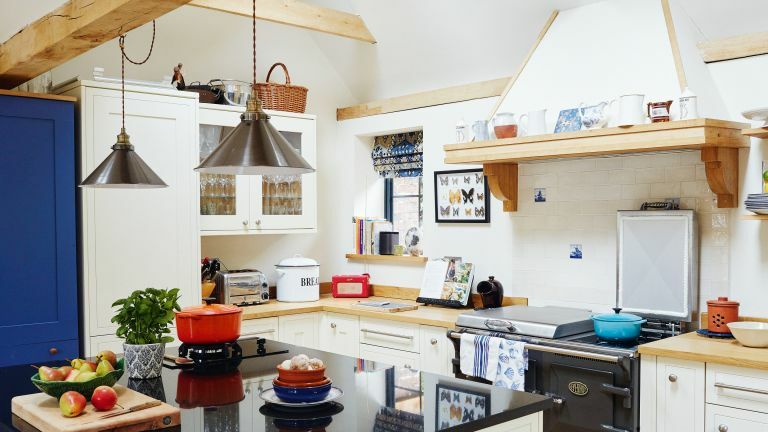 The kitchen was always going to be the most important room in the house for Mary, who is a food writer, and rather than being put off by its dated kitchen she was delighted. Read on to find out what she did next, then browse through more of our stunning real home transformations. Read our guide on renovating a house, too, for more guidance. Tucked away on the edge of a pretty village, just a couple of miles away from the wood that inspired AA Milne’s Pooh Corner, Mary Gwynn’s historic East Sussex home has been through a huge five-year programme of renovations. Getting to that point had been full of challenges, however. ‘I knew the area well and particularly wanted to be in the village, but houses of this size don’t come up here very often and I’d narrowly missed out on others,’ says Mary. It had been a weekend home for the previous owners and was liveable, but in need of rewiring, replumbing and a new bathroom. The kitchen was always going to be the most important room in the house for Mary, though, and rather than being put off by its ‘horror’ of a kitchen she was delighted. ‘I knew I’d probably end up redesigning that room wherever I bought - even if it had been recently fitted by someone else,’ she says. ‘I have very specific requirements for writing and testing my recipes and I really use a professional kitchen, so it was actually a relief to know I wasn’t going to be ripping out perfectly good units. Mary had renovated a similar-aged farmhouse in the past, so she knew what to expect, although this was far more challenging she says. The main problem was that most of the work that had been done on it recently had done nothing to enhance the property. A brick fireplace had been added in the living room, and fitted wardrobes had been built along the full run of two walls in the main bedroom, totally obscuring the room’s ancient timber frame. False ceilings in the old kitchen - which is now the entrance hall – made the space feel cramped and claustrophobic. With help from the Listed Property Owners’ Club, Mary began to imagine how she could bring the house up to date, while staying true to its rich Weald hall heritage. ‘It was nice not having to do anything in a hurry when I first moved in, but by winter I realised this was the coldest house I’d ever been in,’ she adds. A complex planning process, lasting more than two years, delays with building and changes of contractors added to the stress of the renovations. Mary has now put that behind her. As the true character of the original house started to emerge, she found that her cherished family heirlooms and assorted antiques gathered from auction houses were coming together to create a comfortable and very harmonious home. There was something to interest and catch the eye at every turn, such as the refectory-style table positioned in the entrance hall with views of the stunning cottage garden. Looking for renovation tips or inspiration?